It’s well worth investigating buzzing Jamaica whether on a private yacht or enjoying a luxury yacht charter in the Caribbean — there’s nothing quite like the extraordinary combination of ocean waves, live reggae music and rum punch to get the evening off to a good start. With a rich history of art, culture and music running through it, Jamaica offers an amplified Caribbean experience. Negril is famous for it’s nightlife, but the whole island has plenty of party spots to offer. A trip to Negril is a must even if just to swing by Rick’s Café for one of their world-famous cocktails and to listen to some local tunes in front of one of the best Caribbean sunset spots. Floyd’s Pelican Bar (pictured above) is another must — this quirky little drinking spot is a driftwood shack located several hundred yards out to sea, only reachable by tender. They offer simple but superb dishes alongside some tasty local beverages, making this one of the most exceptional spots in the Caribbean Islands for you and your superyacht. The hotels in Jamaica are another place to get your party fix. The Secrets Wild Orchid in Montego Bar offers ten eateries, eight bars and a casino, while the Moon Palace Jamaica Grande boasts unrivalled extravagance with it’s eight bars, weekly themed parties, disco and casino. It’s well worth investigating buzzing Jamaica whether on a private yacht or enjoying a luxury yacht charter in the Caribbean — there’s nothing quite like the extraordinary combination of ocean waves, live reggae music and rum punch to get the evening off to a good start. With a rich history of art, culture and music running through it, Jamaica offers an amplified Caribbean experience. Negril is famous for it’s nightlife, but the whole island has plenty of party spots to offer. A trip to Negril is a must even if just to swing by Rick’s Café for one of their world-famous cocktails and to listen to some local tunes in front of one of the best Caribbean sunset spots. Floyd’s Pelican Bar (pictured above) is another must — this quirky little drinking spot is a driftwood shack located several hundred yards out to sea, only reachable by tender. They offer simple but superb dishes alongside some tasty local beverages, making this one of the most exceptional spots in the Caribbean Islands for you and your superyacht. The hotels in Jamaica are another place to get your party fix. The Secrets Wild Orchid in Montego Bar offers ten eateries, eight bars and a casino, while the Moon Palace Jamaica Grande boasts unrivalled extravagance with it’s eight bars, weekly themed parties, disco and casino. Anyone looking to sail around the Caribbean has to pencil in some time to explore these beautiful islands. Last year St Kitts and Nevis enjoyed a record superyacht season — with a striking landscape defined by sprawling coastlines, lush surroundings and a towering volcano, a private cruise or St Kitts and Nevis superyacht charter offers the perfect place for peace and nature balanced with a thriving nightlife. You won’t have to venture far from your yacht for elegant cocktails, sublime service and picturesque views thanks to the chic Salt Plage, which is just a stone's throw away from the marina for superyachts at Christophe Harbour in St Kitts. Alternatively for something a little more colloquial, stroll to one of the many beach bars around the islands. 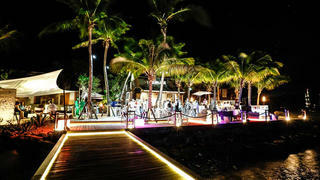 The bars along South Frigate Bay offer plenty of partying options with it’s multitude of bars, but the laid back cocktail party at Nisbet Plantation Beach Club is not one to miss. 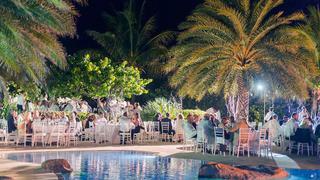 Rum punch and a seafood buffet on the beach sees guests dance into the early hours to the music of live local bands. Anyone looking to sail around the Caribbean has to pencil in some time to explore these beautiful islands. Last year St Kitts and Nevis enjoyed a record superyacht season — with a striking landscape defined by sprawling coastlines, lush surroundings and a towering volcano, a private cruise or St Kitts and Nevis superyacht charter offers the perfect place for peace and nature balanced with a thriving nightlife. You won’t have to venture far from your yacht for elegant cocktails, sublime service and picturesque views thanks to the chic Salt Plage, which is just a stone's throw away from the marina for superyachts at Christophe Harbour in St Kitts. 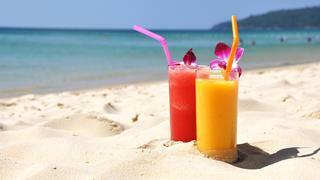 Alternatively for something a little more colloquial, stroll to one of the many beach bars around the islands. The bars along South Frigate Bay offer plenty of partying options with it’s multitude of bars, but the laid back cocktail party at Nisbet Plantation Beach Club is not one to miss. Rum punch and a seafood buffet on the beach sees guests dance into the early hours to the music of live local bands. Jost Van Dyke may only be four miles long but it is a superyacht hotspot and definitely a contender for one of the best places to party in the Caribbean. It is home to the famous yachting waterhole Soggy Dollar Bar. One of the best beach bars in the Caribbean, it is called Soggy Dollar because customers swim in. Its signature rum cocktail is the Painkiller which is a concoction of premium dark rum, cream of coconut, pineapple and orange juice, topped with fresh grated Grenadian nutmeg. Jost Van Dyke is also one of the best places in the world to celebrate the New Year. The biggest party takes place at Foxy’s Bar where a large stage is erected and famous reggae bands play in the New Year. Jost Van Dyke may only be four miles long but it is a superyacht hotspot and definitely a contender for one of the best places to party in the Caribbean. It is home to the famous yachting waterhole Soggy Dollar Bar. One of the best beach bars in the Caribbean, it is called Soggy Dollar because customers swim in. Its signature rum cocktail is the Painkiller which is a concoction of premium dark rum, cream of coconut, pineapple and orange juice, topped with fresh grated Grenadian nutmeg. 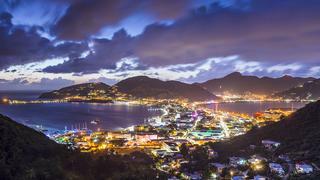 Jost Van Dyke is also one of the best places in the world to celebrate the New Year. The biggest party takes place at Foxy’s Bar where a large stage is erected and famous reggae bands play in the New Year. Arguably the chicest island in the Caribbean, St Barts is famous for its glittering white sand and attracting the world’s glitterati. St Barts has some nice beach bars but it is the parties on superyachts and in private villas that give the island its reputation as one of the best Caribbean islands to party on. St Barts is also famous for its New Year’s eve parties and a host of celebrities are spotted on superyachts celebrating every year. There is also a great party atmosphere when the yachting community flocks to the island for the St Barth Bucket Regatta in March. Arguably the chicest island in the Caribbean, St Barts is famous for its glittering white sand and attracting the world’s glitterati. St Barts has some nice beach bars but it is the parties on superyachts and in private villas that give the island its reputation as one of the best Caribbean islands to party on. St Barts is also famous for its New Year’s eve parties and a host of celebrities are spotted on superyachts celebrating every year. There is also a great party atmosphere when the yachting community flocks to the island for the St Barth Bucket Regatta in March. 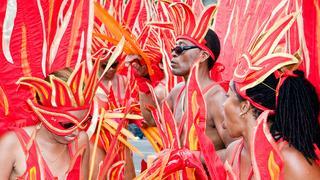 Carnivals are a serious business in the Caribbean but no island does it quite to the extent of Tobago. An explosion of colour, music and dancing, the main street parade in the Port of Spain takes place on the Monday and Tuesday before Ash Wednesday but there are events leading up to the carnival from Christmas. The party never stops and, as well as the dazzling costumes, stick fighting and limbo are both major components in the festivities. If you are looking for an unforgettable vacation then you should consider experiencing the Trinidad carnival on a yacht. Carnivals are a serious business in the Caribbean but no island does it quite to the extent of Tobago. An explosion of colour, music and dancing, the main street parade in the Port of Spain takes place on the Monday and Tuesday before Ash Wednesday but there are events leading up to the carnival from Christmas. The party never stops and, as well as the dazzling costumes, stick fighting and limbo are both major components in the festivities. If you are looking for an unforgettable vacation then you should consider experiencing the Trinidad carnival on a yacht. Rumour has it that the French/Dutch border was established by an 18th-century drinking contest and the cosmopolitan island is still bustling with bars today. Whether you are looking just to enjoy a sundowner on some of the Caribbean’s best beaches or party until dawn, there are a plethora of options. Alternatively you can head to one of St Martin’s 14 casinos, all of which are located on the Dutch side, and try your luck. Rumour has it that the French/Dutch border was established by an 18th-century drinking contest and the cosmopolitan island is still bustling with bars today. Whether you are looking just to enjoy a sundowner on some of the Caribbean’s best beaches or party until dawn, there are a plethora of options. Alternatively you can head to one of St Martin’s 14 casinos, all of which are located on the Dutch side, and try your luck. Although Virgin Gorda is not traditionally famous for its nightlife it comes to life every March when the international yachting community descends on the Yacht Club Costa Smerelda Virgin Gorda for the Loro Piana Caribbean Superyacht Regatta. By day the southern Caribbean island of Aruba is about diving and water-based activities, but at night it transforms into party central. Restaurants range from low-key to super-slick and there are more than 10 casinos, many hosting spectacular live shows – expect stand-up comedy, glitzy cabaret and DJs. You could do worse than try out your salsa steps at Cuba’s Cookin’ – or just settle into a chair with a mojito and leave it to the professional dancers. By day the southern Caribbean island of Aruba is about diving and water-based activities, but at night it transforms into party central. Restaurants range from low-key to super-slick and there are more than 10 casinos, many hosting spectacular live shows – expect stand-up comedy, glitzy cabaret and DJs. You could do worse than try out your salsa steps at Cuba’s Cookin’ – or just settle into a chair with a mojito and leave it to the professional dancers. 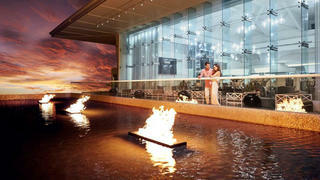 An unincorporated territory of the USA, Puerto Rico offers a slice of American metropolis nightlife in the Caribbean. 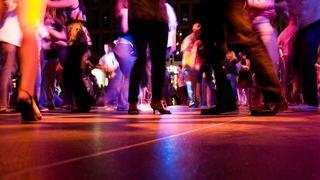 Old San Juan and Condado are fantastic party places, with bars and nightclubs. The casinos here not only have in-house shows and bars, they are more refined than elsewhere in the Caribbean – there’s no drinking at gaming tables and the dress code is formal, so dress to impress. Things relax in the bars and nightclubs elsewhere, with partying done against one of the Caribbean’s most beautiful backdrops in old San Juan. Alongside rum, music is what makes the Puerto Rican party such an intoxicating experience. Expect everything from Latin house fresh from New York to traditional merengue and salsa – head to a piano bar to recharge. An unincorporated territory of the USA, Puerto Rico offers a slice of American metropolis nightlife in the Caribbean. 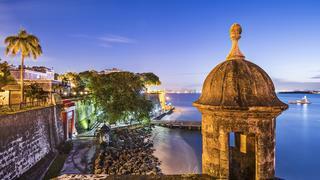 Old San Juan and Condado are fantastic party places, with bars and nightclubs. The casinos here not only have in-house shows and bars, they are more refined than elsewhere in the Caribbean – there’s no drinking at gaming tables and the dress code is formal, so dress to impress. Things relax in the bars and nightclubs elsewhere, with partying done against one of the Caribbean’s most beautiful backdrops in old San Juan. Alongside rum, music is what makes the Puerto Rican party such an intoxicating experience. Expect everything from Latin house fresh from New York to traditional merengue and salsa – head to a piano bar to recharge.